A pediatric therapist provides services to children with special needs, typically in the child’s home or in a clinical setting. Occupational therapy and physical therapy are the most common forms of therapy provided by a pediatric therapist, although there can also be other forms. The overall goal of a pediatric therapist is to design and implement therapeutic plans that will improve a child’s cognitive and motor functioning after they have experienced an illness, accident, injury, or surgical procedure. In a similar manner to other professionals in the medical field, a pediatric therapist is obligated to perform under a standard of care. Instances of abuse and other negligent or intentional acts are examples of occurrences that violate the standard of care duty. A breach in the standard of care duty must be proven when suing a pediatric therapist for malpractice. Since each case is unique and can differ in the circumstances and types of negligence that occurred, the standard of care duty determines the outcome of these cases. Providing evidence that another pediatric therapist would have behaved in a different manner and that the injury would have never occurred if the proper care was administered is an essential aspect in proving negligence. This is accomplished through the claims of the victim and with the testimony of a medical expert. Intentional misconduct and acts of pure negligence are actions specific to the field of pediatric therapy that violate the standard of care. There are also negligence cases that are referred to as hybrid cases. These types of cases involve both negligent care and intentional abuse. The proper way to proceed with a hybrid case and other cases involving negligent actions can only be determined by an attorney who has a history of success in cases of malpractice and abuse caused by a pediatric therapist. In order to receive adequate compensation, the patient must be able to prove that the injuries or damages they suffered occurred as a direct result of the negligent actions of a pediatric therapist. 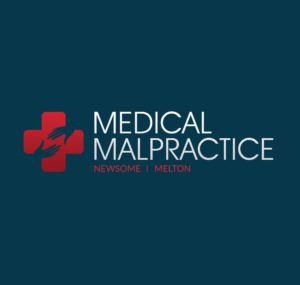 Consulting with a medical malpractice attorney who specifically handles cases of pediatric therapist negligence is essential in filing the malpractice claim and gathering the necessary evidence to proceed with the case. Although some cases can be filed as medical malpractice, there are other claims that can be pursued for abuse or negligence. Speaking with an attorney will help to differentiate between which type of claim a person has and how he or she should file.